November marks the season of Thanksgiving. With Halloween decor packed up and Christmas trimmings still in totes, it’s time to focus on unveiling the essence of Thanksgiving in your home. Shelves of decor line the store aisles, but many of those options contribute to the destruction of our environment. By making some small, conscientious decisions, you can reduce transport emissions, eliminate plastic consumption and give used items new life while giving your home the holiday flair you envision. While pulling together the look for your Thanksgiving decor, keep sustainability in mind with these tips. The truly wonderful thing about the fall months is the abundance of natural materials you can find and use in your autumn decor. Skip the retail purchases and head outside for organic finds nearby. Curve those grapevines into a circle, and use this as a base for a fall wreath. Adorn it with the colorful red berries that dot the landscape this time of year, and embellish the wreath further with dried leaves or flowers, pine cones or nuts. You could even glue on small apples or pumpkins. Similarly, the same materials can be used to create centerpieces for your Thanksgiving table or as seasonal decorations for your coffee table. Lay out pine boughs and top them with colorful gourds. Grab those still-firm pumpkins, carve them into a bowl and stuff them with fresh greenery. Use clear glassware, jars, vases or water pitchers to hold pine cones, leaves, berries, nuts or colorful rocks. Fresh citrus or apples make a gorgeous centerpiece when placed in simple clear or white bowls. 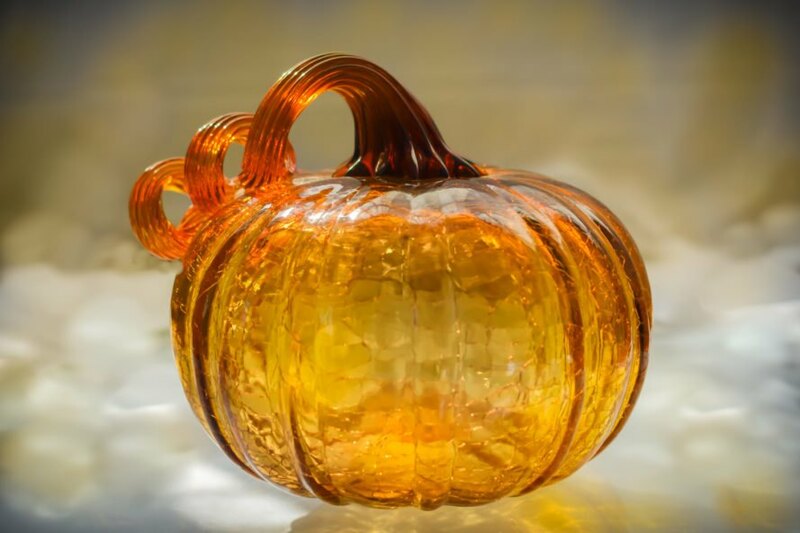 Make a statement by placing a votive candle inside a carved-out mini pumpkin or apple. Set bottles around the house, and fill them with fresh-cut lavender, rosemary or mint. Surround that centerpiece with a eucalyptus ring. Your mantle is another perfect place to add some visual appeal. Thread together orange and red leaves to make a swag, and add small pumpkins painted different colors. Also, remember that Thanksgiving is represented by the colors and products of fall, so take advantage of hay bales, corn stalks and gourds to decorate your front porch. Anyone who’s spent more than a few minutes considering steps toward sustainability knows that plastic is petroleum-based, which causes problems for the environment — and plastic never goes away. If you decide to purchase decor for your home, look for materials that are eco-friendly and will give you the gift of longevity, resulting in less waste. Find a wrought-iron turkey or hunt down ceramic pumpkins. Buy glass platters and real fabric tablecloths instead of the single-use versions. With very little effort, you can find decor that allows you to reuse something that’s already been produced rather than buying new. For example, take those mounting canning jars and etch them with festive designs. Alternately, you could decoupage them with leaves. Fill with orange candles and display them on your mantle or table. Look around your house for a bucket or rusted watering can, and dress it up with bundles of wheat or corn stalks. Hit up the local thrift shop for table runners, used decor and themed dishware. While upcycling might involve plastic items and is not always a zero-waste initiative, the more life we can give to existing products, the less production pollution and post-consumer waste we will have — a win-win for the environment. 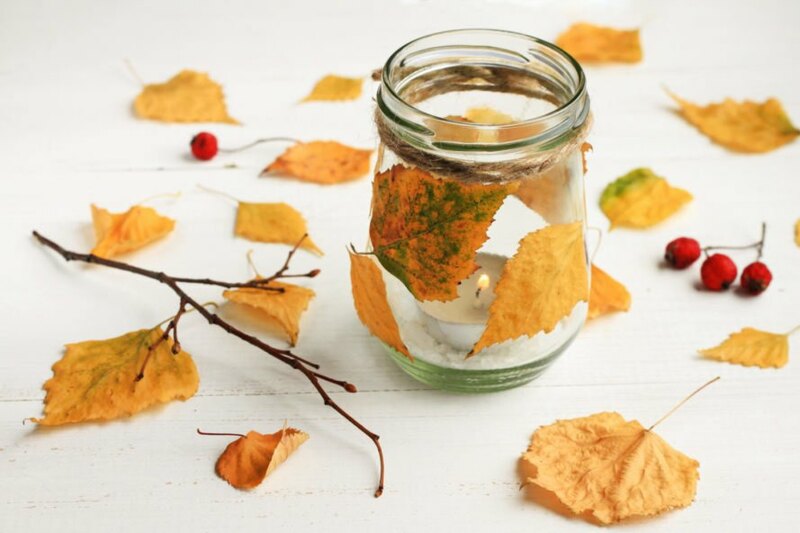 The long, dark evenings of fall are the perfect time to get crafty. Take the kids for a nature walk and collect acorns, leaves, twigs and other natural elements. Once you return home, glue the materials onto fall-colored paper, forming letters on each sheet to spell out, “Give Thanks,” or something similar. Punch holes in the top corners of each paper and thread yarn or rope through them to create a banner for your wall. Crafting can also overlap with upcycling. 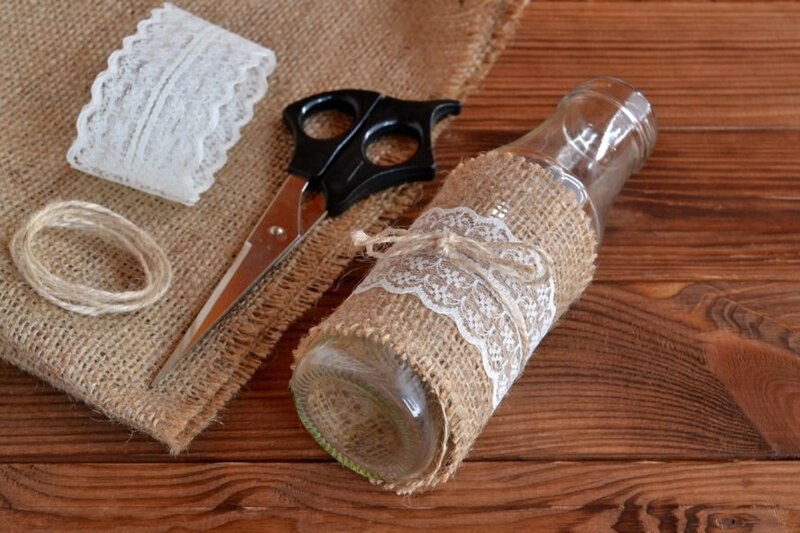 For example, paint a wine bottle, add a twist of twine to the top and embellish with words. Make a few and group them together. The kids can use toilet paper or paper towel rolls to make hanging turkey decor, place markers or napkin rings. Related: Six yummy, organic pumpkin recipes you can make for Thanksgiving! Most people associate Thanksgiving with food, and many would agree that food can be art. Why not give your edibles dual purpose by designing munchable masterpieces? Start with that cornucopia you’re dying to put out and fill it with candy, grapes, apples, pears, satsumas, chocolate, pretzels, bread or nuts. You can carve a watermelon into a boat or basket and fill it with fruit. Head over to Pinterest, and look for ideas that will transform your veggie tray into a turkey pattern. Don’t forget about dessert — make some cookie turkeys or cut out a leaf pattern from your upper pie crust. Remember that the goal is to express the spirit of the season, which is gratitude. Nothing shows gratitude for your home and yard more than using natural elements. Hosting a sustainable Thanksgiving also shows gratitude for the planet and those you love that live on it. As you prepare to host Thanksgiving dinner, take time to choose (or make) sustainable decorations for your home. Use produce or items you find outside as natural decor. Instead of plastic, find ceramic, glass or metal decor for the celebration. Turn old jars, bottles, buckets and more into completely new items. 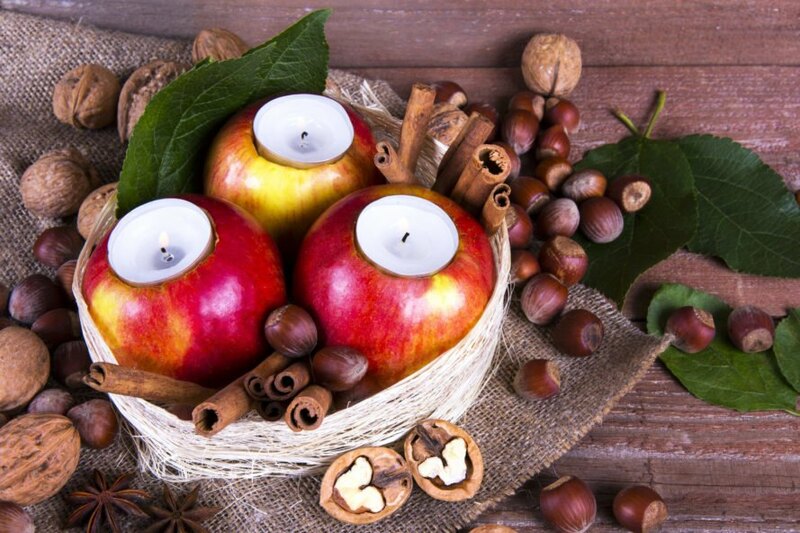 Spend a chilly evening indoors crafting Thanksgiving decorations for your home. Put food on display. Make your fruit and veggie trays in the shape of turkeys, or keep fresh produce in a cornucopia. 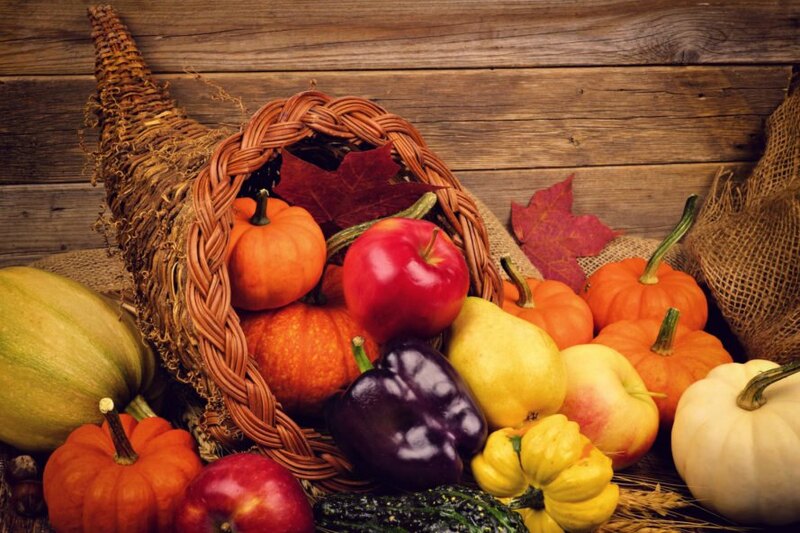 Show gratitude this Thanksgiving with sustainable decor and an eco-friendly celebration.